I harbour more than one weak spots for all things sparkling – be it water or wine. Champagne is one of those adult beverages that go down well at any time of the day, no matter if it is stupid o’clock in the ante meridiem in the lounge before or after a red-eye or for a festive occasion of your choosing. 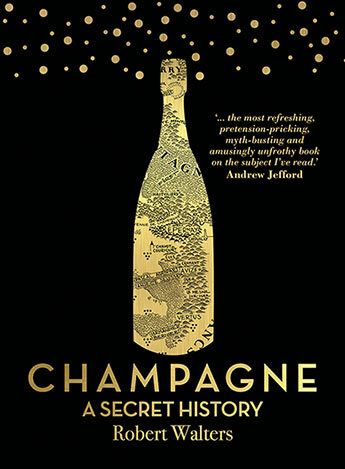 While common perception might be that the pleasures of champagne are relegated exclusively to the well-heeled, Melbournian wine merchant, author and vineyard owner Robert Walters, who set out to set the record straight. It is not a crusade, but an entertaining journey Walters takes the reader on, pervaded by witticisms and bon motes, shedding light on the nuances of the drink and the nature of the region, with spotlight being put on the growers, their alchemy and recommendations. While doing that, Walters tell the story of Champagne, from its emergence to what it is being held in high esteem for today. It its interesting to read that originally, wines with bubbles from the Champagne region were perceived to be faulty and the transition from that era to the artisanal, exquisite product it is today. The book is many things – bit of a travel guide, definitely a tasting guide and a welcome addition to your distinguished library for a beverage that has much more to offer than prestige and an expensive price tag.